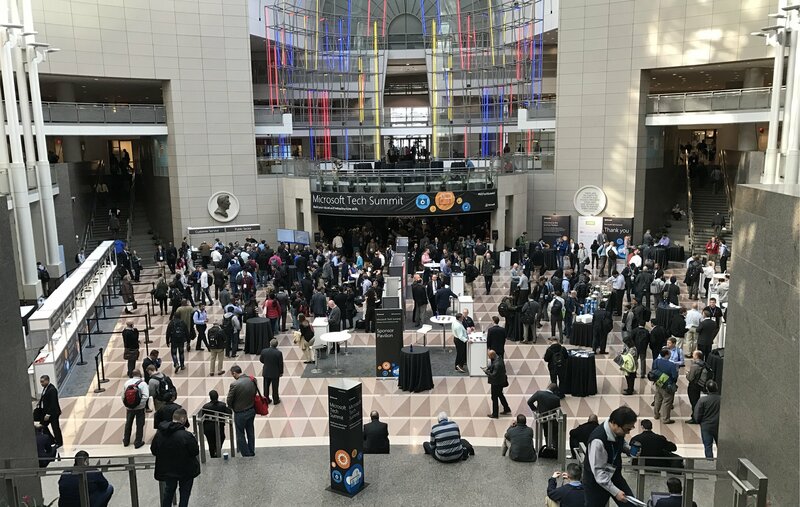 March 6th and 7th in Washington D.C, Microsoft hosted their spring Tech Summit; an intimate 2 day event where several thousand IT professionals and a select few companies were lucky enough to attend, and present their products. During those days of panels, trials, and new product demos, CiraSync was fortunate enough to join as a presenting partner, following the release of our CiraApps Management solution, which is now available on the Microsoft Azure Marketplace. So what happened at the Summit? From the start of the first day, the event was flooded with thousands of people eager to learn more about what Microsoft is set to unveil, and to get a taste of all the partner exhibits. Be it data storage, expense and operations software, to syncing solutions – there was plenty to take in. One of the biggest draws of the event is the opportunity to check out some cool new products and the teams behind them. Along with this, there were dozens of talks held every hour on a variety of topics; Microsoft took every opportunity to educate those in attendance. Hands on guides, practical solutions, and future product exhibitions were all covered during the seminars. What was truly striking is how seamlessly, and beautifully the event flowed together. Despite there being thousands of individuals occupying the floor at any given time, there was never a shortage in supplies, a delay in transitions, or even a lack of space; the event ran like a well oiled machine with many attendees staying from start to finish. It’s amazing how the number of people you meet from any given industry who are ready and willing to learn more about your products and solutions. Just as interesting is how many don’t know they potentially have a business problem before the answer stares them in the face. For us, that’s one of the greatest values in attending an event such as this – we get to bring meaningful solutions to companies and people who need it. For CiraSync, it was a break out event, and one of many. The Microsoft TechSummit is an event hosted in numerous cities around the world, numerous times a year. Keep up to date and check us out at the upcoming partner conference, which takes place in Washington D.C, this July.